In order for any project to run smoothly, certain working methods should be followed. Everything that relates to a specific project is contained within its own project area. A Project area contains information with regard to milestones, tasks to be completed, files that belong to this project e.g. photos, text content, documents, etc. You can use the Discussions link to "talk" to your designer about any aspect of the project itself. In this way, everything that belongs to a project is all in one place. 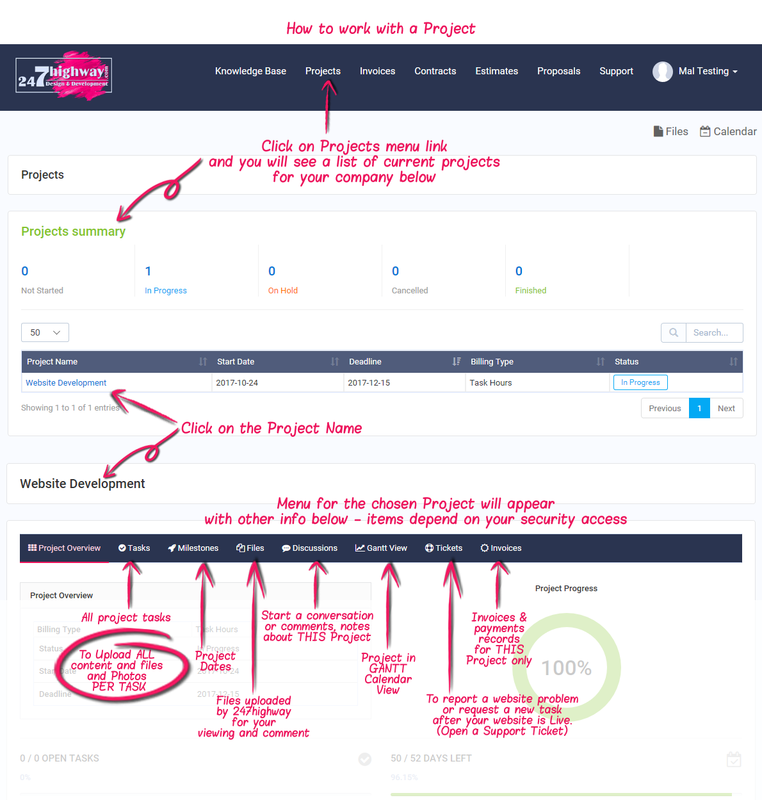 Here is an explanation for all the items within a single project area. Please note: Depending on your security access level for your project, not all of the items inside the project will be visible/available to you.